Brisbane boat owners love their boats, and the climate ensures that we can have great boating weather most of the year around – A fully customised boat wrap will ensure that you add a little of your personality to your boat. 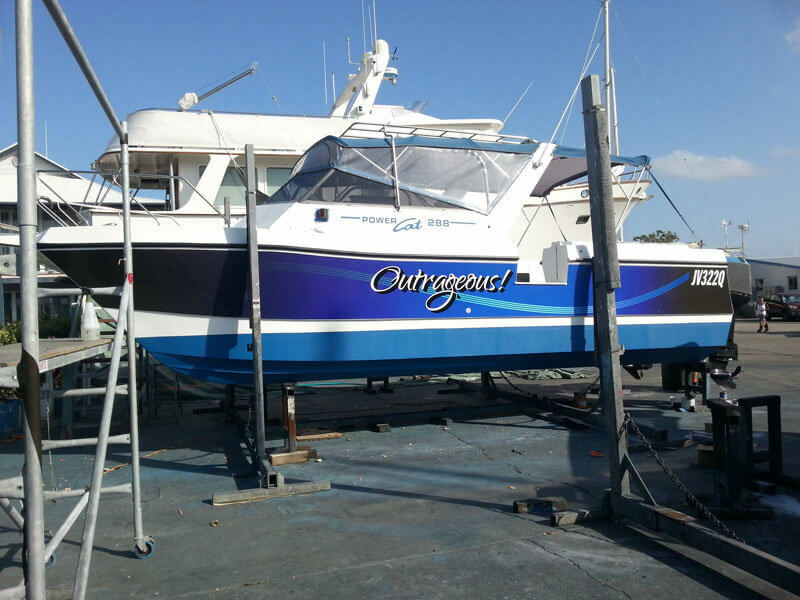 The team at Sign Age Brisbane have years of experience with boats, boat signage and wraps. We are here to advise and discuss every detail of your design and layout. For many of us our boats are just a passion, but for the lucky few they are an income. For those people it is imperative that their boats stand out from the crowd, as much as any commercial vehicle would. The age of digital printing and the advancement of media technology now means that quality, affordable boat wraps are a reality in Brisbane! Wrapping your boat in your logo or in great graphics will ensure that your boat is standing out from the crowd both in and out of the water. Small vessels and tinnies usually live on a trailer but most large boats spend the bulk of their time in either one of two places – on the water or in a marina. In both of these places standing out and having your message or product seen is challenging. Out on the water you might see very few people but marinas are always filled with people and vessels. Even though these two environments are so different the need to stand out is important in both places – this is where a great boat wrap will ensure that everyone sees your product! We can personalise your boat with your individual lettering or graphics. Boat wraps and graphics are a great way to make your boat stand out from the crowd! Graphics for your boat or tinny are a perfect way to advertise your business.